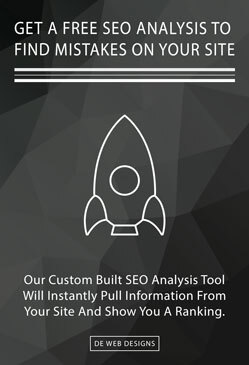 Conversion rate optimization is increasing the number of conversions (leads, phone calls, web contact form submissions, sales, etc) from the same amount of unique visitors. This is where hundreds of thousands of businesses fail to realize how many customers they’re losing due to their website. Even if your website is brand new, it could lack several important parts to the end user or its functionality. This will hurt your conversion rate and potentially cause customers to choose a different business. Let us explain a few simple examples of conversion optimization. If your current website receives exactly 100 people that have never visited your website before every month and you get one new customer from those 100 people, your website has a 1% conversion rate. Depending on your industry, a website should generally be able to generate at least a 3% conversion rate. This means each month you’re missing out on at least two potential customers. Depending on how much you value an average new customer, you’re losing double that number. So, if a new customer for your business is worth $500, you’re missing out on an extra $1,000 each month. 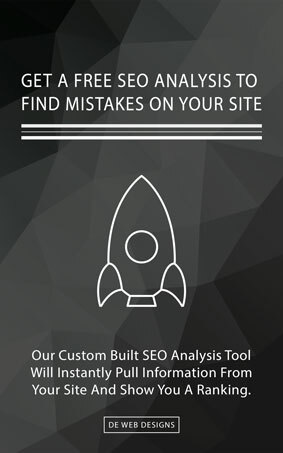 Not only are you losing potential customers, but your website is costing you more than you think. If you are paying $300 a month for your website, and you’re losing $1,000 a month, that’s $1,300 each month that your website is costing your business. So, if we were able to take over your website, complete our step by step process and get you a 3% conversion rate, you would gain an extra $1,000 per month. By increasing your website’s conversion rate, you’ll be generating more customers and increasing the amount of business you receive. Stop losing customers and letting your website cost your business thousands of dollars. If you’re interested learning how we will increase your website’s conversion rate, click here to contact us.